So today will be the sixth time I have boarded a train in a little over a week and I figure, as I'm now a little bit of a travel extraordinaire, I'd show you what I bought with me...a bit like a What's in my Bag Jumbo Edition. 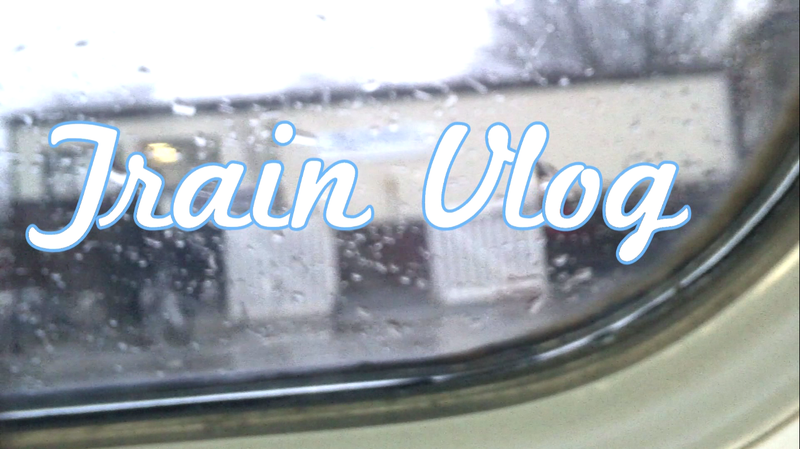 If you haven't seen my Train Vlog from last week, you can check it out over on Youtube. I find that when I am on a train for in excess of an hour, to say I get bored easily is an understatement. I like trading in my usual handbag for something larger, more sturdy and something I can fit several thousand activities in to keep myself occupied. 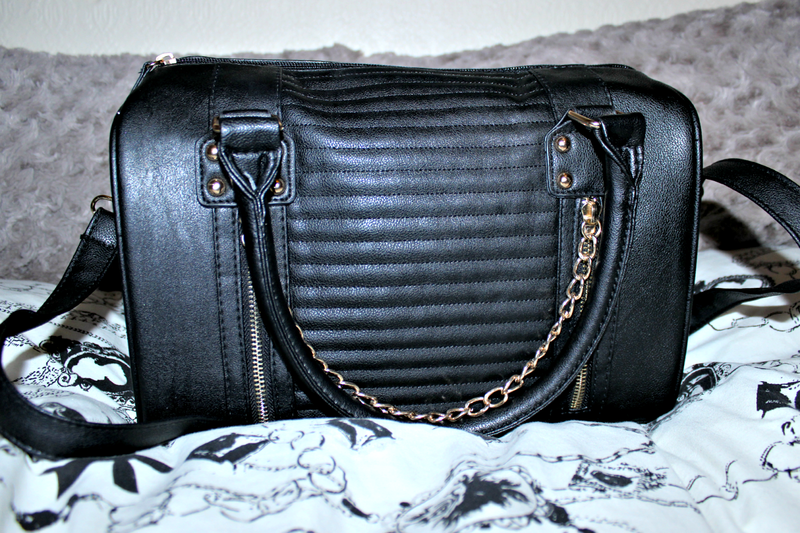 And something that will fit my small River Island Zip Messenger Bag to switch to once I arrive. Netflix. Ebooks. Lecture notes. Apps. Need I say more? My tablet means I don't always need my laptop at hand and therefore I can pack it up safe in my case without having to heft it around with me so that I can work on the train. I have had my Nexus 7 for about a year and a half now and it is by far one of the best purchases I made with my student loan, it's a hub for my lecture notes, e-mail and calendars and keeps me organised and can be a great distraction too. I pack the essentials: Collection Ultimate Fix that meets all my concealer/foundation/powder needs without having to carry all three. Plus it comes with a handy mirror and sponge too. Mascara, they type and brand of this varies though I do love my Oriflame Extend Lash mascara even though I really need to get on it and buy a new one! P.S Love (the new makeup range by Primark) has armed me with the perfect Kohl Eye Liner that travel secure and glides effortlessly onto my lash line. 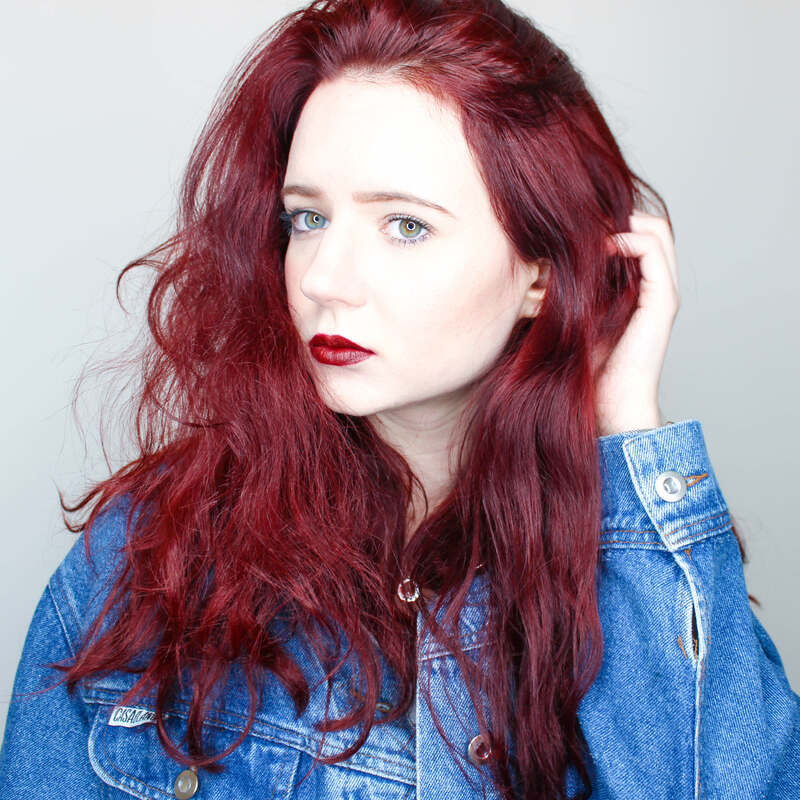 Finally I throw in whatever lip product I am wearing that day and my Compact Tangle Teezer to tame those unruly curls. all of this can usually be done in the 4 minutes before I arrive at my destination. A spot of Lush's Vanillary doesn't hurt. Whilst not strictly in my bag I find that a trip to the Pumpkin Cafe is a must for my cross-country journeys (what can I say, I'm perpetually late?). Hello cheese and tomato toastie, hot chocolate/mocha smothered with cream and Metcalfe's Sea Salt Popcorn. There is nothing worse than being hungry on a train and being forced to pay packets for your lunch. Anything with caffeine is a must for the early train home the next day. Realistically, I can never sit through a train journey without a good book. Heck, I can never sit through a long bus ride either. I tend to have more books on the go than I can count because I like tending to several different storylines at once. Here's the current list: A Tap on the Window by Linwood Barclay*, The Ethereal Underground by Briana Gaitan* and The Other Boleyn Girl by Philippa Gregory (because 1) her books are amazing and 2) I just got finished watching The Tudors on Netflix and am craving more). Occasionally the latest edition of company or Glamour will do. If you don't already own one of these beauties, I suggest you should! They're the perfect combination of reassurance and style and come in a range of colours with some snazzy LED lights to indicate the battery life. I got this from the boyfriend at Christmas and it's turned out to be such a useful gift. On my nightstand and now on the train. Say hello to hands-free Netflix and academic journal reading. It fits all of my tech, is adjustable and folds down to barely a sliver. I love my Water Bobble, the water is clean, tastes great and it's more resilient than a plastic bottle so I don't have to worry about any accidental leaks. Because the only one who wants to hear your music on the train is you.